After praying and seeking the Lord’s will on where the Lord would have them start a church, the Lord led Matt and Jen Rowley to Jacksonville, FL. They spent the summer of 2006 in Jacksonville helping Matt’s brother Josh remodel distressed homes. Over the next four years the Lord gave the Rowleys a burden to return to Jacksonville to start a church committed to the authority of the Bible. On January 1, 2009 the Rowleys moved from Greenville, SC to Jacksonville. 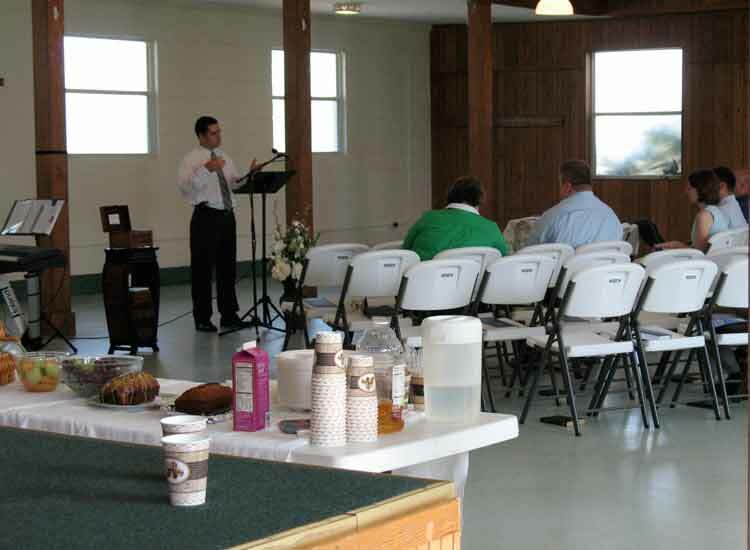 After passing out over 6000 door hangers and advertising in the Money Pages magazine, on July 26, 2009 the first service of Truth Baptist Church was held at the Holly Oaks Community Club on McCormick Rd. The Lord brought 26 people to the first service! For the next three years we met at the community club on Sundays and at the Rowleys’ home on Wednesday evenings. Last Wednesday evening at Ashridge Dr.
After 2 years we began praying that God would provide a permanent location that would adequately meet our needs. Our people had given sacrificially but most potential locations were far beyond our budget and would require a burdensome loan. To enhance our future ministry opportunities it was our desire to remain debt free. After a month of looking we found a building that would meet our needs, but the list price was $350,000. We looked into a loan and were approved and offered $330,000. For three months we heard nothing back from the sellers. In August of 2012 our realtor called out of the blue to tell us our offer was accepted! We found out the property had been foreclosed and was now owned by the bank. Due to the change of ownership we felt uncomfortable proceeding with the offer. After our realtor backed out of the deal, we decided to contact the bank directly. After uncovering new information we offered the bank $165,000 for the building. For one more month there was no response. In September the bank called and countered our offer at $170,000. We immediately accepted! In two months’ time the Lord enabled the people of our church to give over $50,000 and on November 5, 2012 we paid cash for our building! Seeing God alone give us the building debt free and for slightly over half the price of what we initially offered boosted our faith in our sovereign Lord! New building on Lone Star Rd. First Service at 8150 Lone Star Rd. 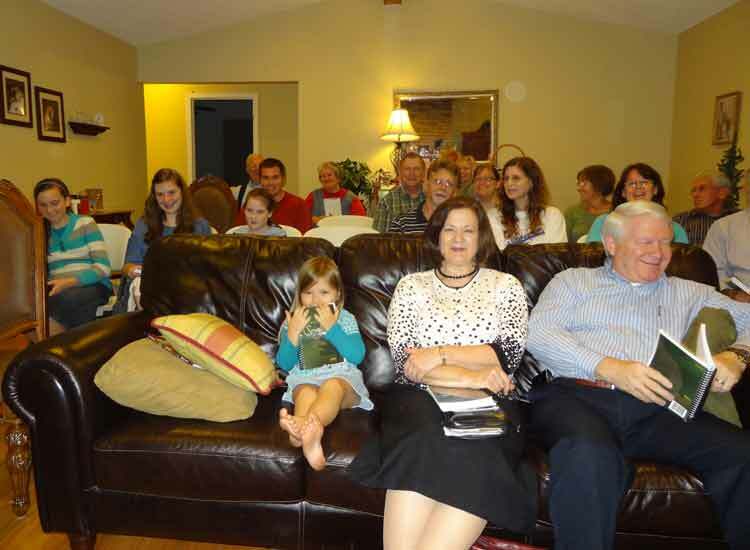 We remodeled one unit of the building and held our first service in the new building on December 9, 2012. For two and a half years the people of our church worked together to remodel the rest of the building to suit our needs as a church. In August of 2016 we welcomed Dan and Amanda Powell to our church to help with areas of the ministry that needed special attention including music and youth. The Lord’s timing was perfect and the Powells provided skills and energy necessary to help us advance the kingdom of God. In April of 2016 the members of our church voted to change the name of our church to River Reach Baptist Church. You can learn more about the name change here. God’s faithfulness to us in the past gives us great confidence that He is with us and will enable us to bring glory to His name. We hope that you will join us as we serve the Lord in this place.